When this time of year comes around, Fred and I get excited about what we're going to pick from the World Vision Gift Catalog for family and friends. He has done it for years on his own, and now we're doing it as a family. Have you thought about how one simple act can change the life of just one person? Changing the life of that one person could change the life of the people in that person's family. From there, it impact is limitless. 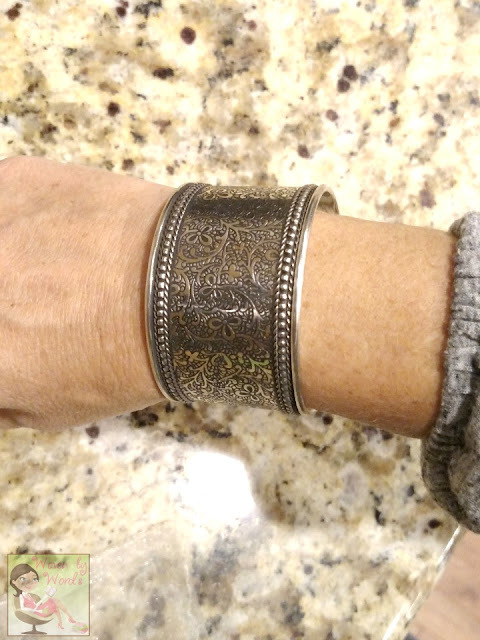 World Vision gave me the opportunity to work with them once again during the Christmas season to do a review & giveaway of their Silver Vine Cuff. I think you know how much we love having an impact on the people around us, as well as those in need, especially children. 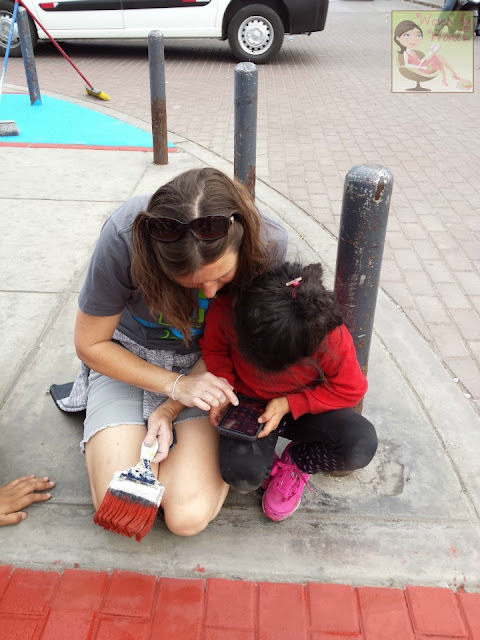 When we went to Peru in October, being with the kids at the outreach center, and then making a difference with the wheelchairs...nothing beats what that feels like. It's an amazing feeling! Maybe leaving the country isn't your up o' tea, or it's just not possible. Guess what? With the World Vision Gift Catalog, you don't have to leave your house to make a difference. So, you're thinking, "dude, what about people in need here in America?!" Boom, they've gotcha covered with options there as well. Not kidding, they've thought of everything. What are your options of giving? Glad you asked! You can give anything from livestock to clothing, trees to water wells, soccer balls to daily life gear (blankets, lanterns, even a Ger! ), musical instruments to medicines, and so much more. If you want to make a difference in a different way, you have the option of helping girls and women specifically by giving a sewing machine, a bicycle, send a girl to school, career training, a small business loan, and hope for sexually exploited girls. Are you getting excited?! Truly, you have so many options, so what are you waiting for? Oh, wait! Did you know that if you're just undecided because of all the amazing ways to give, you can give World Vision the option of using your donation where it's most needed. By doing that, you'll receive a free handcrafted gift! For different levels of giving you can receive a beautiful handmade gift! 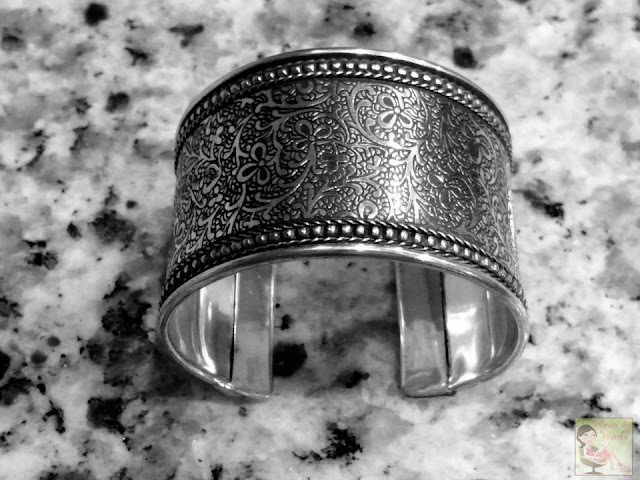 Speaking of handmade gifts, let me tell you about this absolutely gorgeous Silver Vine Cuff that is from artisans in India. This cuff comes with a donation of $85 or more. It is one of my favorite pieces I've seen with World Vision! I love how it's such a great conversation starter. Any of their pieces are a wonderful way to get people inspired to get involved with this organization! 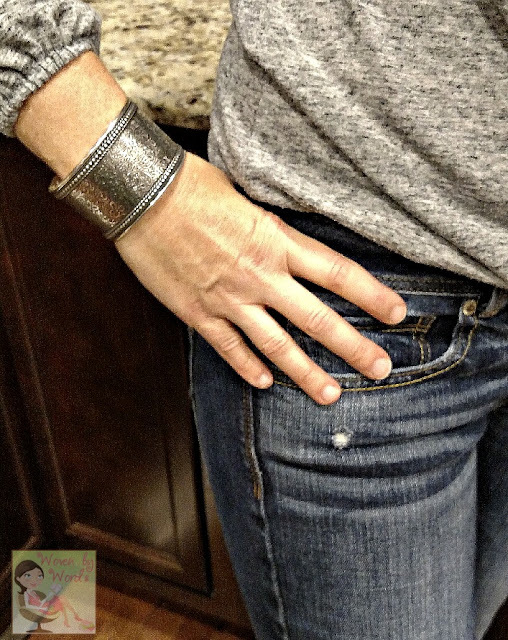 I'm thankful for the opportunity to be able to host a giveaway of a Silver Vine Cuff! Be sure to enter below, and tell your friends about it! I would choose the Royal Silk Scarf. 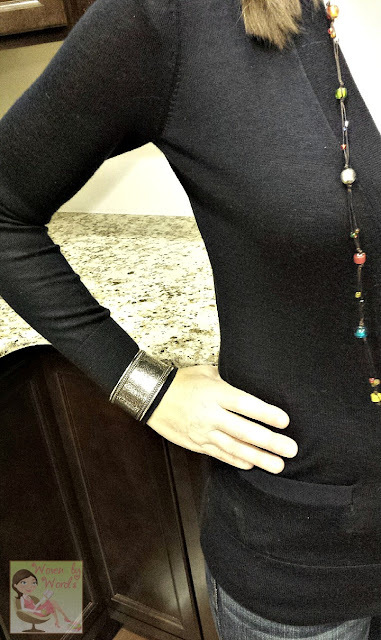 I love the drops of turquoise necklace, bracelet and earrings. I would choose the Christmas Star Ornament. It is pretty and would hekp remind me when I saw it to be thaankful and be giving. Hi Mimi! I love this idea of gift giving to benefit those less fortunate. I love the bracelet. I think I would give 2 chickens. I know what a blessing eggs and chicken are for us so I can only imagine what they mean for those less fortunate. I love the idea of giving to people who are less fortunate. I think sometimes we get so wrapped up in our own holiday traditions that we forget some people barely have what they need to survive. This is an awesome giveaway. I love the work that World Vision does. We need more of this in our world. As we head into the season there are few gifts as meaningful as those that also give back in someone's name. We always gift World Visions every year. I love World Vision and what they do. I have been aware of how much they actually give to those in need. This charity is truly a charity giving most of what they get on to those who need it. Great giveaway! What a gorgeous bracelet! World Vision always has such awesome products this time of year. I love the work that they do! I love the Balinese multi strand necklace. I would also want to give clean water or medicine as well. I love all that World Vision does for the less fortunate all over the world. That cuff would make a lovely gift. I've never heard of World Vision, but it seems amazing. I'll have to check it out. I love the drops of turquoise necklace. The Christmas Star ornament is beautiful. That's such a wonderful bracelet. I love that it will help raise awareness for World Vision. It's wonderful enough to shop from there for the benefits it triggers. It's even better that the products are as fabulous as they are. Love the cuff! I haven't heard of this before. It sounds like an amazing company. Love the cuff too. It's great to have a way to show that you care about the world! Thanks for sharing! What a beauitful piece of jewelry! Looks very elegant and versatile for dress or casual wear. That is a gorgeous silver cuff.I think it is so important to help others and donating through World Vision is a great example and something good to do as a family. I loved all the jewelry, especially the turquoise. But the Upcycled Artisanal Bowl was very special, so I'd pick that. 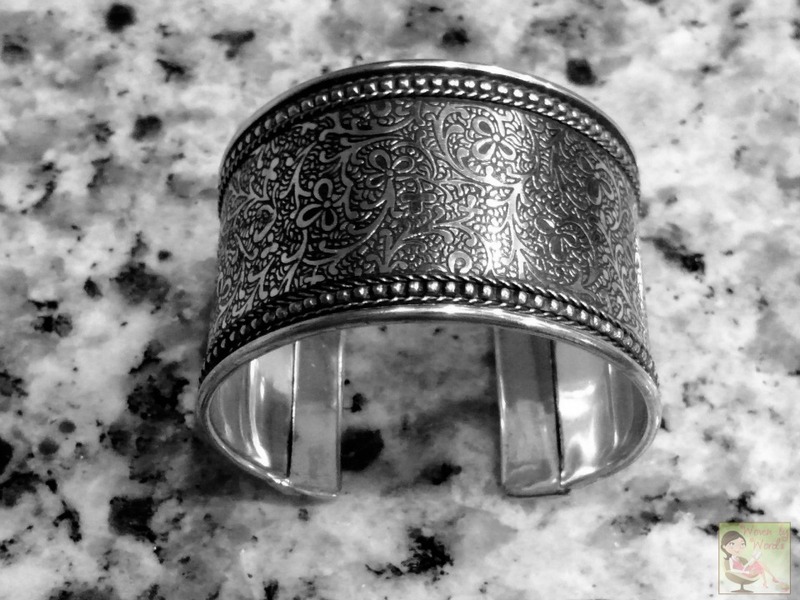 I love that cuff bracelet which would look so beautiful with a denim jacket I have. Thanks for offering such a great giveaway. I love the turquoise bracelet and the coasters..but honestly everything is beautiful! I love the Vietnamese tote! So many great gifts. I love the beautiful Christmas Star Ornament! I love the Red Thai Necklace. I love the Multi-color Beaded Cross Necklace beautiful. I like the clean water! The Christmas star ornament is beautiful! I would send the 5 Fruit trees! I absolutely love silver. This bracelet and its design are beautiful. I would give the gift of clean water. I would pick the Prosperity Cinnamon. This is an awesome giveaway! I love World Vision's mission. The turquoise earrings are beautiful! This cuff is beautiful, I love the idea behind this website... who wouldn't want to support it! It's awesome. I would rather give than receive. I would give water or the fruit trees to someone who needs them. I love the Upcycled Artisanal Bowl so pretty. The "Drops of Turquoise" necklace is beautiful! -Kim L.
I would give clean water and chickens.